TAOLB was born in the Spring of 2014 when 2 Littles under four years and a bad case of mommy fog led me to search for a creative outlet. I hired a web designer and a photographer, and began publishing articles that would hopefully bring back the sense of self I had unconsciously abandoned in favor of raising the two little men with which God had blessed me. My forgotten passions: fashion, cooking and entertaining became the topics of tri-weekly posts, and I tripped forward in my quest to understand the internet, technology, social media, photography and everything else required for success in the publishing world. What a crazy time! 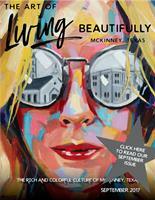 After three years of sharing my most favorite of favorites, I decided a new, more worthy topic and interface was the future of The Art of Living Beautifully: A digital magazine dedicated to my hometown, McKinney, Texas! 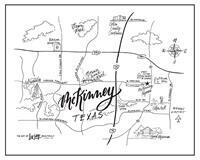 As a born and raised McKinneyite—yes, that is the official term—I feel a passion to promote our unique city-village, our businesses, our non-profit organizations and our citizens. Through quarterly magazines, monthly event newsletters and weekly posts, I hope McKinney residents and visitors alike will develop or rediscover a love for our town and local culture. 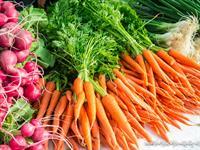 Welcome to The new Art of Living Beautifully, and to some of you, welcome to McKinney!